In law school, I quickly realized that “the answer” earned me very little credit on exams. The analysis that went into the answer is where I scored the points. So too, in life, the journey counts. 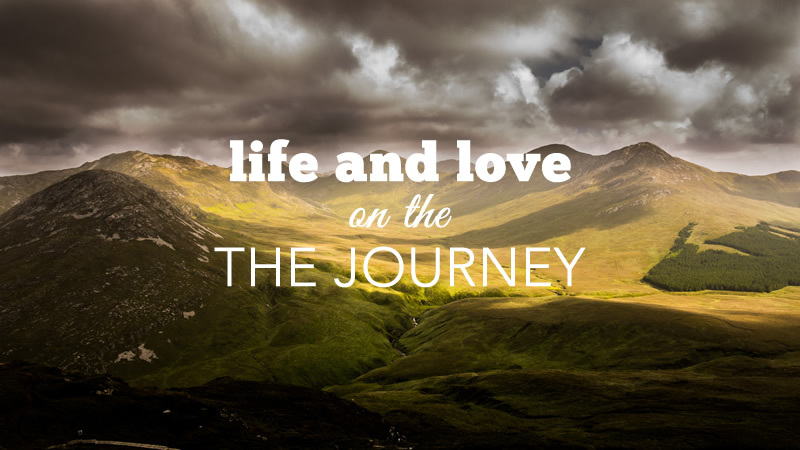 Along the way, we find life, love, and learning that ultimately arrive at various destinations. This week a few numbers, randomly selected, will forever change a few peoples’ lives. Leading up to the Powerball drawing they probably fantasized about winning. They have what they want. Right? But, as my dad would say, “are they really happy?” 🙂 Easy for him to say, but seriously, circumventing the journey can have disastrous results. More interestingly, the winners who found purpose in their jobs (after winning), kept working. Sometimes the easy street is really a dead end. There is no measurable happiness increase in earning more than $80,000, so if riches are your desires, then go for it—but not for the happiness. The thrill of a pay increase wears off two weeks and only provides a small amount of happiness. I’ll always remember a road trip I took in college. My wife and I loaded up in a van with 12 kids and journeyed west. We finally arrived at the Grand Canyon and stood there for all of 10 minutes before loading back into the van and heading home. The destination was breathtaking, but our life-long memories were made along the way with our friends. The greatest experiences of my life have not been at the top of the mountain but on the trails pressing to get there. Along the way, I’ve found love and built a life that is worth living and most importantly worth defending. The journey breaks us, builds character, makes memories, and can sometimes make us lose spirit, but as long as we have breath, it never stops. Along the way, we build life-long relationships, and occasionally we arrive at some interesting destinations. The destinations, no matter how rewarding, are temporary. It’s easy for me to lose sight of the now for tomorrow, but I have to pick my head up from time to time and realize that this is a pretty cool trip, no matter how long and strange it’s been.